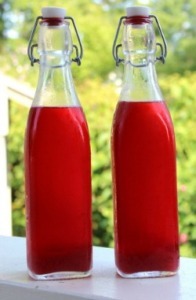 This article explains how to make lacto-fermented Raspberry Soda. This is a non-alcoholic fermented drink. Simply put, lacto-fermentation is combining helpful, healthy bacteria and fruit and sugar into sealed containers. The healthy bacteria consumes the sugar and produces a carbonated soda that tastes great and has probiotic goodness.. In this recipe, Craig uses real raspberry juice and through the process of fermentation, creates raspberry soda. One neat thing about fermentation is that the longer you allow the fermentation process to take place, the less sugary the soda will be. The other neat thing is that this is a SUPER project to do with your kids. Not only will they learn about healthy bacteria and fermentation. They’ll also understand how soda is made and how carbonation is produced. Lacto-fermentation uses the lactobacillus,which is a healthy bacteria you can get from using whey or other “starters.” This type of fermentation increases the level of vitamins and enzymes and makes it easier to digest the drink. It also produces antibiotic substances that can contribute to good health. So you end up with a healthy and tasty probiotic soda! Craig explains the process of preparing the raspberries and sugar until you have a wonderful raspberry juice. If you don’t like raspberries, you can substitute blueberries, watermelon, blackberries etc. This recipe uses whey, although there are suggestions for other starter cultures. One of the many nice things about this recipe is that you only need to ferment the soda for 3 days. You can taste test the soda until you arrive at the sweetness level you want. It’s a really nice recipe! 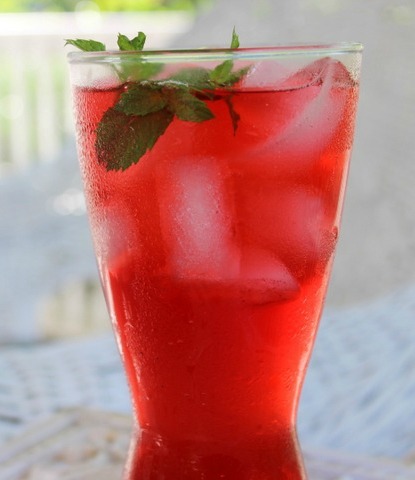 To read the complete recipe visit the How to Make Lacto-Fermented Raspberry Soda link below.